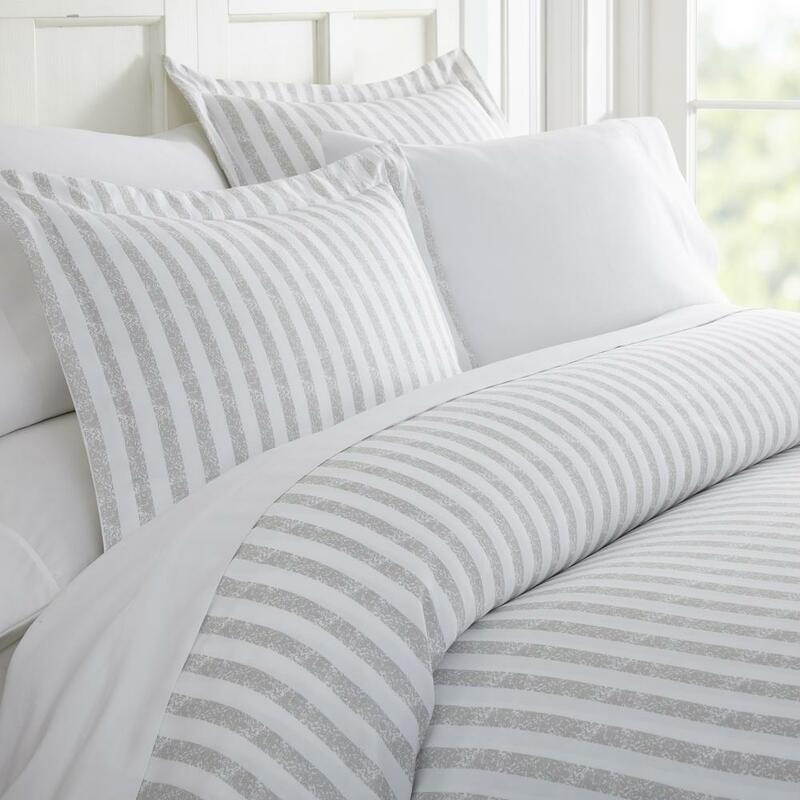 The Becky Cameron 3-Piece Puffed Rugged Stripes Duvet Cover Set will enhance and improve your bedroom decor. Tailored for a perfect fit and made with the finest imported microfiber yarns for ultimate comfort. This luxury duvet cover set is expertly stitched for durability to last a lifetime and raises the bar for coziness and elegance. Includes two matching pillow shams to bring elegance to any bedroom. Lorelei has not submitted any questions. Lorelei has not submitted any answers.